Thank you for scanning your bottle of BUICED, whether you bought it or not! Here is a great starter recipe for you, and we hope you will become an EVERYDAY JUICER like us! Juicing is the BEST way to get the most nutrients from vegetables into your body in liquid form, so they can quickly be absorbed into your cells! It's the closest thing to the Fountain of Youth! Thanks for Clicking or Scanning me! Welcome to EverydayJuicer.com, where our goal is to try and get you to become exactly that: An EVERYDAY JUICER. To help you get started, we wanted to give you a great starter recipe here. From there, please feel free to click around the site, as we have tried to take all the mystery and confusion around juicing away and break it down into a very easy to understand and then more importantly, easy to execute program! Once you have completed Steps 1, 2, and 3, then use this great starter recipe below to get you going. As far as the amounts of each vegetable to use, we have given you a guide below as well. Once you juice a few times, you will get the hang of it. Once you have made your juice, don't forget to BUICED it to round out your total health experience by adding 100% Daily Value of all the vitamins your body needs and then many other essential minerals. First you JUICE it, and then you BUICED it! 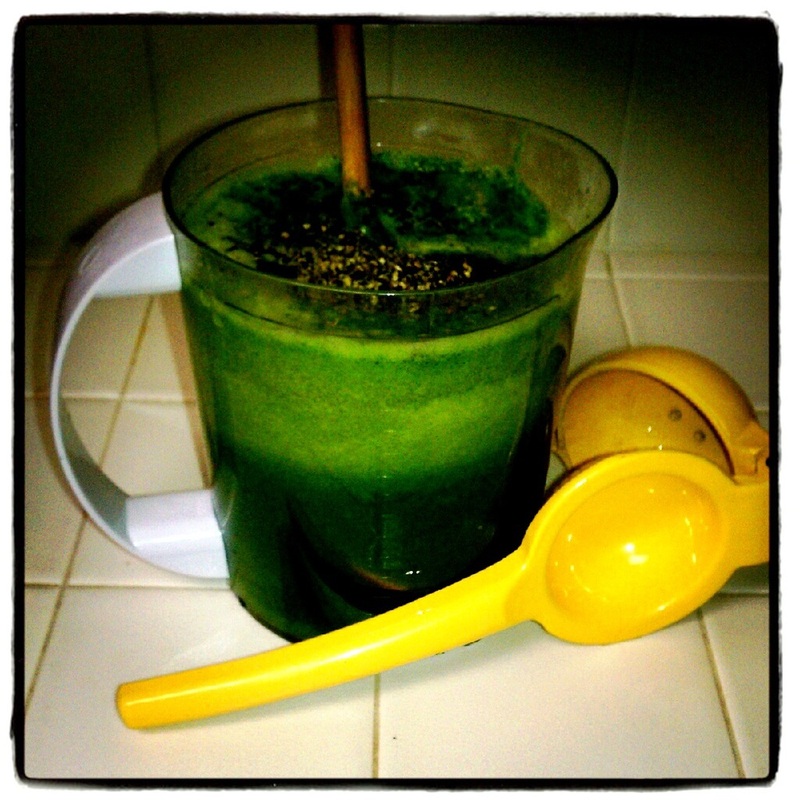 Starter Recipe: "THE LEAN GREEN MACHINE"
The Green Machine starter Recipe for first time juicers!